The Sisters at the Casa love and care for everyone who comes to them for assistance. In large part, their ability to provide care is because of your generosity and love for your neighbor. 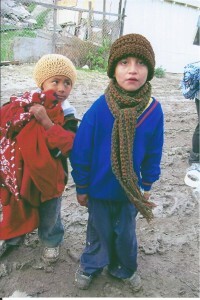 The Casa Christmas distribution in Tijuana is on December 22. Those who receive the Christmas gifts have nothing. They live in the dumps on windy hills with no running water. Electricity is scarce. Men, women, and children suffer from malnutrition and lung diseases caused by breathing polluted burning garbage fumes. Let us help them! Please pray for the people and the Sisters. The impoverished men, women, and children who come to the Casa are truly grateful and feel your love and care. Without YOU, they would not celebrate such a Happy Christmas. 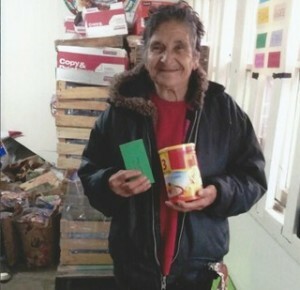 Sister Armida relies on “God to Provide.” He surely does through your open and loving hearts. 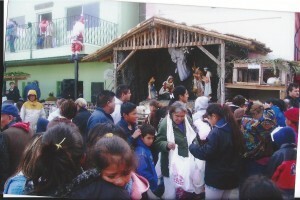 GOD BLESS YOU for your generous donations to help our brothers and sisters in the slums of Tijuana during this holy season. We are grateful to Fr. Jerry O’Donnell, All Hallows La Jolla Parish Pastor, who warmly supports the Casa. Our regular monthly donors sent us $13,874.29 this month. As of December 2, we received $29,315.00 from our Christmas letter appeal, which includes $5,000 from the Michael and Dawn House Family Fund at the San Diego Foundation, $15,000 from a special San Diego donor, and $2,500 from a generous La Jolla couple. Your donations will help to provide a special bag of groceries for 1,500 of the poorest families along with the precious gift of a new blanket. Sister Armida has ordered the blankets! Caroline Kelner and helpers packaged (in ziplock bags) over 3,250 pounds of candy (from Halloween) for the Christmas distribution. Pretty amazing! Thank you Caroline and Santa’s Helpers. Everything you donate is tax-deductible. Receipts are available upon request. We have NO overhead, other than minimal PayPal and credit card charges. We need your MONTHLY help, and would love to add you to our regular mailing list. Please contact Pat 858-551-9245, Jackie 858-412-5544 or Caroline at 858-761-7744 and we’ll be happy to add you and answer any questions you have. This entry was posted in October/November 2017 by Pat Erzinger. Bookmark the permalink.